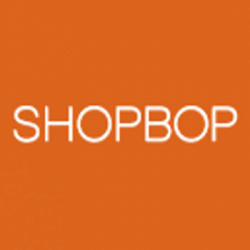 Shop till you drop with Shopbop! Made for the style-minded woman, you’ll never run out of things to shop for. Check out their editorial lookbooks for outfit inspirations in case you can’t decide what to buy! What’s more – Get an extra 25% off with this coupon code! PLUS, Receive your goodies in a flash with FREE EXPRESS SHIPPING worldwide. Get clicking now at shopbop.com! Valid till 18 June 2017, T&Cs apply. Buy your designer styles from Shopbop and use this coupon code for 25% off with above $800 spend! Restrictions and brand exclusions apply. Get free international shipping for orders above USD100. Shop for designer labels such as Aquazzura, KENZO, Tory Burch and many more at lower prices than retail stores! Valid till 4 March 2017 only. 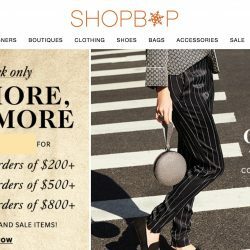 Buy your designer styles from Shopbop and use this coupon code for 20% off with above $500 spend! Restrictions and brand exclusions apply. Get free international shipping for orders above USD100. Shop for designer labels such as Aquazzura, KENZO, Tory Burch and many more at lower prices than retail stores! Valid till 4 March 2017 only. 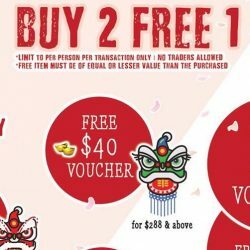 Shop at Outdoor Life today and get rewarded with an auspicious “angpow” this CNY! Also buy 2 and get 1 FREE on selected outdoor apparel and gear from now till 28 Feb! Buy your designer styles from Shopbop and use this coupon code for up to 25% off! Restrictions and brand exclusions apply. Get free international shipping for orders above USD100. Shop for designer labels such as Aquazzura, KENZO, Tory Burch and many more at lower prices than retail stores! Sale ends 3.59pm on 29 Nov 2016. Till 2 Nov 2016 BHG Bugis: Enjoy 20% off regular items from Doughnut! Everyone is using the hottest bags in town now. Get Doughnut bags at 20% off regular items from TODAY till 2 Nov'16, with its integration of fashion & functionality to make your style stands out! Available at BHG Bugis, while stocks last. 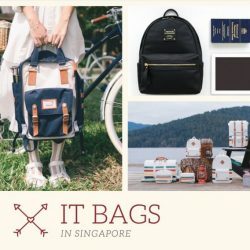 Anello Bags: Where to buy it in Singapore! If you are sick of the Fjallraven Kanken bag trends but still love roomy quality backpacks, the Anello bags from Japan are super hot now! Grab one if you want to be "in"! The Anello bag is not just roomy, the designs are really nice too. You get to choose from several materials: Leather, Polyester Canvas, Cotton, High-Density Nylon... as well as many colours. You can fit all your necessities into it and still look very fashionable! To be honest, BQ has owned a Anello backpack for a while, and is thinking of buying another bright coloured one! 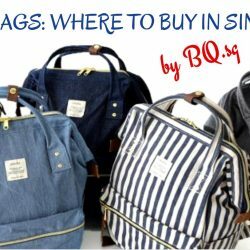 Let me share my own research on where to buy the Anello backpack in Singapore with you readers! 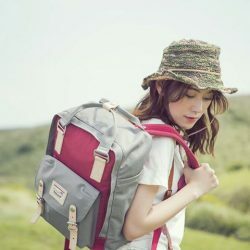 Fjallraven Kanken: Where to Buy It in Singapore! The Fjallraven Kanken backpack from Sweden is the in thing now, no matter what your gender is, or whether you are a student or even a senior, there will be a design that suits you! If you do not own one, it will be hard to call yourself as a "trendsetter"! So why is it so hot nowadays? Well it's hard to answer, they are just the latest trendy item to own for now! The Great Online Shopping Festival (GOSF) 2016 is happening from 25 to 27 April 2016! Check out Ripples's special offer now! In ancient times, the backpack was used as a means to carry the hunter's larger game other types of prey and as a way of easier transport. Carry your modern day loads in their backpacks! 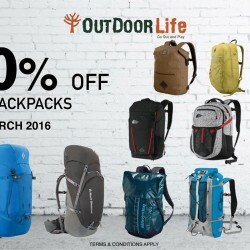 30% off all backpacks in the month of March 2016. 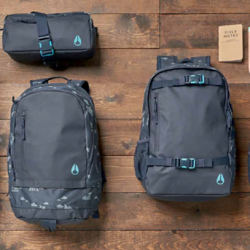 Amazon offers Herschel Supply Co. 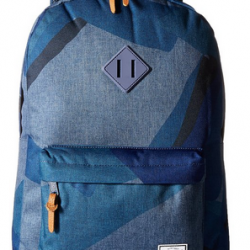 Village Backpack, with fully lined with Herschel supply's signature coated cotton-poly fabric for only US$44.55 + $19.75 Shipping & Import Fees Deposit to Singapore. Amazon offers National Geographic NG A5250 Small Rucksack for $56.88 plus no import fees deposit and free shipping to Singapore on orders over $125.00. 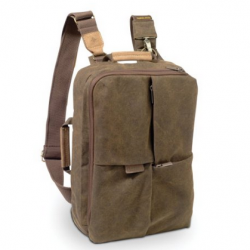 The Africa NG A5250 Small Rucksack / Shoulder Bag will carry all your essentials, keeping your pro gear, as well as a laptop, safe and secure and allowing ample room for personal effects. 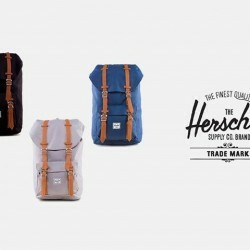 Enjoy for a limited time only, check out their Herschel's with 25% OFF on promo with code: SALE25, only on ZALORA. Visit for more details here. Amazon offers Rebecca Minkoff Mini Julian Backpack, zipper closure for only US$88.82 + No Import Fees Deposit with FREE Shipping to Singapore on orders over $125.00. 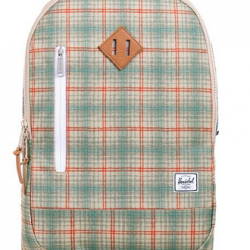 Amazon offers Herschel Supply Co. Heritage Backpack for only US$32.85 + No Import Fees Deposit with FREE Shipping to Singapore on orders over $125.00. Enjoy 15% OFF all regular-items from NIXON. Valid today till 3 January 2016. Check them out from accessories, apparel, bags to even speakers at BHG Bugis L2. 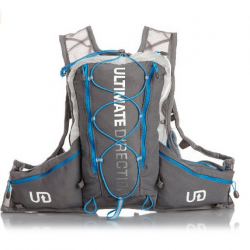 Amazon offers Ultimate Direction SJ Ultra Vest 2.0 for $73.10 plus no Import fees deposit and free shipping to Singapore on orders over $125.00. The SJ Ultra Vest is the result of collaboration with Scott Jurek, the worlds most dominant ultra runner. Weighing 11 ounces (16.5 with bottles and offering 7 L of storage space, the SJ Ultra Vest 2.0 has the best volume-to-weight ratio of any hydration pack on the market. Amazon offers Fjallraven Kanken No.2 Backpack, with kanken in G-1000 Original with leather trims for only US$79.72 + No Import Fees Deposit & FREE Shipping to Singapore on orders over $125.00. 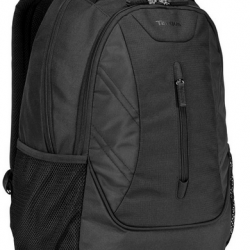 Amazon offers Targus Ascend 16" Laptop Backpack, with Durable polyester exterior with a soft-touch neoprene carrying top handle for only US$14.99 + $11.95 Shipping with Import Fees Deposit to Singapore. 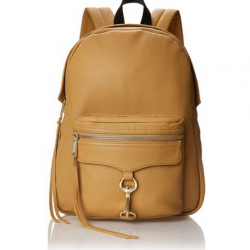 Amazon offers Rebecca Minkoff Mab Backpack for US$131.53 with US$16.89 shipping to Singapore. Apply the coupon code BAGSNMORE at checkout to get this deal. 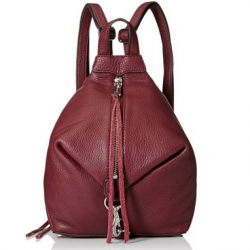 A Rebecca Minkoff backpack, rendered in wrinkled leather and trimmed with long zipper pulls. The front pouch has a buckled pocket and a zip compartment. Lined interior with 4 pockets. Padded shoulder straps. Amazon offers Fjallraven Kanken No.2 Backpack for only US$83.35 + No Import Fees Deposit & FREE Shipping to Singapore on orders over $125.00. 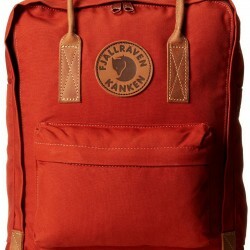 Amazon offers Fjallraven Kanken Laptop Backpack from US$44.35 with US$9.52 shipping to Singapore. 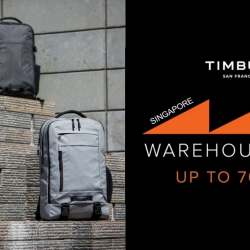 Free international shipping to Singapore on orders over US$125.